I’m not going to try and convince you of how awesome Facebook is – though Kristen is a happy convert. I’m not going to explain away all of the bad press about privacy issues or how addictive the site is. If you hate Facebook, that’s OK. But make sure you hate it for the right reasons. I LOVE Facebook. I was a big fan of the platform before I thought about writing as a career. It just fit really well with my personality. I’m one of those people who isn’t afraid to share personal things, poke fun at myself, shake my fist at the sky, share my corner of the world with…the world. Today I have a really special treat for all you vampire-philes!! 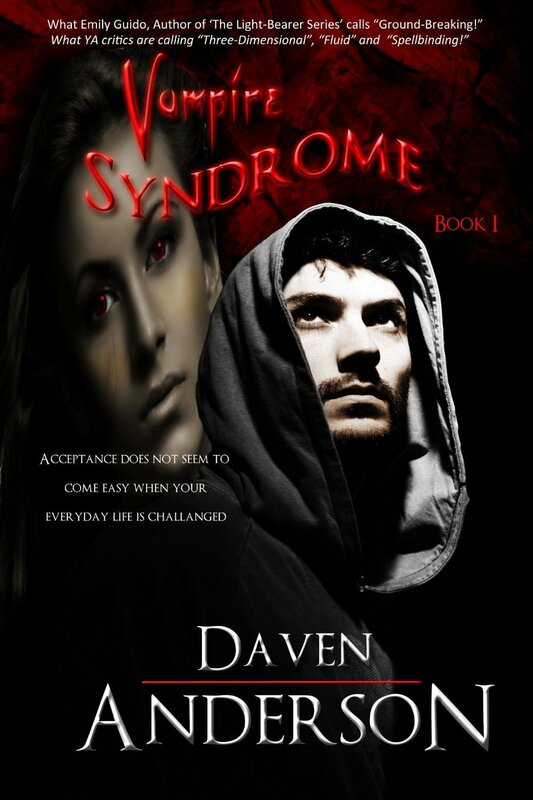 Daven Anderson from “Vampire Syndrome” agreed to write a special article for Vampire Wednesday. I’m honored to present. . .
One of my main motivations when crafting the Vampire Syndrome universe was to create a world where vampires make sense in both scientific and folkloric terms. This was not an easy task. Making sense of science’s yin and folklore’s yang ultimately required two types of vampires. Human vampires, and alien vampires. A spaceship full of carnivorous predatory humanoids crashes in what is now Romania 25,000 years ago. A number of normal humans are suffused with the aliens’ DNA over time, creating mutant hybrids known as human vampires. Many science fiction authors would say that aliens are a “convenience” for writers, allowing them to explain almost anything scientifically. And they’re right. Thank you for the thoughtful, analytical review! PDMI Publishing has a wide range of books for the readers across multiple genres and offers a great user experience as a personal publisher for authors wishing to explore the vibrant and creative world of writing and publishing. So here is the book review – this book is for readers of the genre paranormal, supernatural, fantasy and Young Adult. An engaging and fun read with “what happens next” moments and loads of twists, intrigue and action.